If you have similar tickets, you can merge them into one ticket. 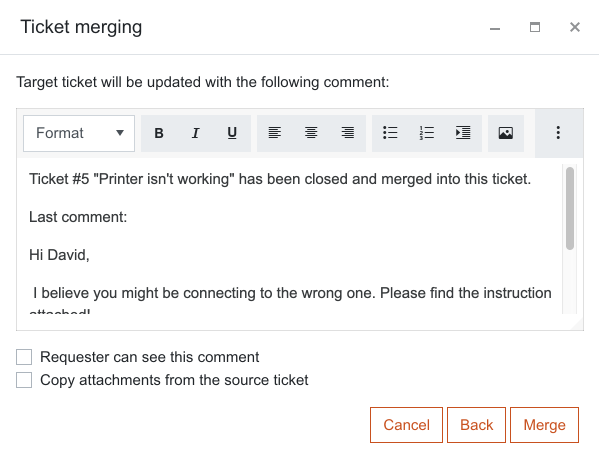 You can merge tickets with different requesters — the requester and Cc of the ticket you close will be added as Cc of the ticket you merge into. 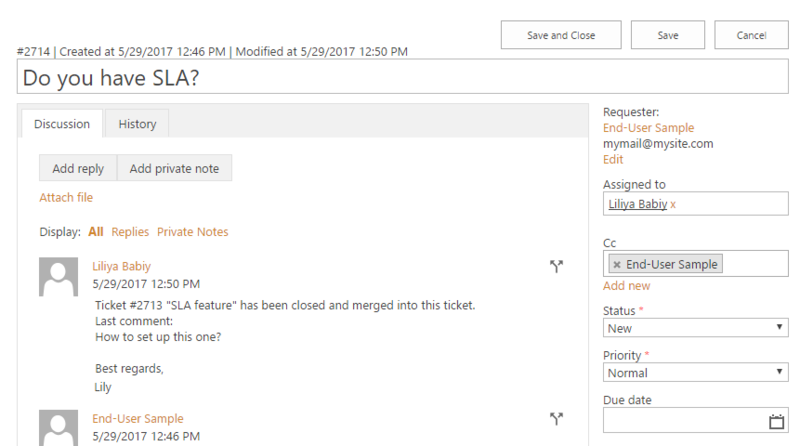 The other fields like Priority, Tags, Status etc., are not merged as the ticket is closed during the merge. To merge tickets, open the ticket you’d like to merge into another. Then click on Helpdesk tab and select “Merge”. You will see a pop-up window where you need to enter ticket ID to merge into. After that, the ticket was marked as “Solved” and you need to confirm merging. Also, you can edit comments which were merged. On the both steps, you can decide if these comments will be public or private by checking “Requester can see this comment”. Make sure that you choose the correct tickets and click “Merge”. Now your ticket was merged. Note that you can not revert this action.